As NASA marks its 50th year, the space agency is looking at having Russians put Americans into space. 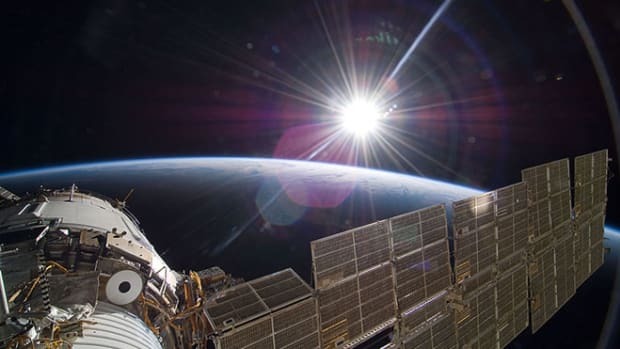 Starting in 2010, NASA, The New York Times notes in a new series, will be using Russian launches and Russian spacecraft lighting out from the former Soviet Union to get to the International Space Station. That will be the case until at least 2015, when a new American spacecraft is expected to take wing. This comes four years after President Bush promised a "new course" for the nation&apos;s space program, including finishing the space station by 2010, building that next-generation craft and sending human beings back to the moon — and beyond. "The crew exploration vehicle," the president said, referring to the new spacecraft, "will be capable of ferrying astronauts and scientists to the space station after the shuttle is retired. But the main purpose of this spacecraft will be to carry astronauts beyond our orbit to other worlds. This will be the first spacecraft of its kind since the Apollo Command Module." The goal is for the craft to carry materials to the moon, which will then be used as a staging base for greater feats of space exploration. "We do not know where this journey will end," Bush said, "yet we know this: Human beings are headed into the cosmos." Although it&apos;s a thankless task determining where the presidential will to explore the cosmos began, we suggest it was during the tenure of Dwight Eisenhower, when the Soviets put a dog into space and America was the one to howl at the moon. "Recent developments in long-range rockets for military purposes have for the first time provided man with new machinery so powerful that it can put satellites into orbit, and eventually provide the means for space exploration," Ike opened a special message to Congress on April 2, 1958, a message that called for creating NASA. Notably, for a former general, Ike called on NASA to be a civilian enterprise and not just a support mechanism for the recon satellites and ballistic missiles of the armed forces. "I recommend that aeronautical and space science activities sponsored by the United States be conducted under the direction of a civilian agency, except for those projects primarily associated with military requirements. I have reached this conclusion because space exploration holds promise of adding importantly to our knowledge of the earth, the solar system, and the universe, and because it is of great importance to have the fullest cooperation of the scientific community at home and abroad in moving forward in the fields of space science and technology. Moreover, a civilian setting for the administration of space function will emphasize the concern of our Nation that outer space be devoted to peaceful and scientific purposes." "(1) the compelling urge of man to explore the unknown; (2) the need to assure that full advantage is taken of the military potential of space; (3) the effect on national prestige of accomplishment in space science and exploration; and (4) the opportunities for scientific observation and experimentation which will add to our knowledge of the earth, the solar system, and the universe." Eisenhower&apos;s will was clearly spurred by competition with communism, but he recognized that space exploration was a boon for humanity — all of it. A far cry from the fierce Cold War Space Race between the U.S. and the Soviet Union, exploration in the 21st century is likely to be a much more globally collaborative project. Biden Selection Fits the Democrats' M.O.